The idea for a pan-European body promoting integration actually came about in 1923, with the first proposals for a European Parliament coming from Count Richard Nikolaus von Coudenhove-Kalergi. However, nothing came of that. Though, his idea began to come to fruition after WWII. 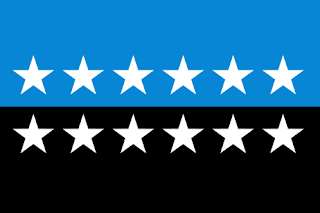 The first pan European organisation to adopt a flag was the European Coal and Steel Community. The ECSC used a horizontal bicolour of blue and black. The blue represented steel, and the black represented coal. Originally there where 6 stars on the flag, representing the 6 member states. 3 on the blue, and 3 on the black. The number of stars was expanded as the number of member states increased, until it got to 12 stars, when the number was fixed. Then, in 2002, the treaty forming the ECSC was finally allowed to expire as the European Community had effectively superseded it. 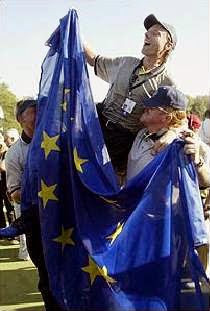 In 2002, the ECSC flag was lowered for the final time outside the EC headquarters, and was replaced with the European flag. However, it was the Council of Europe that created the flag that is in use today. A competition began in 1950 to create a pan-European flag, and one suggestion was a blue flag, with a red cross in an orange circle. However, because Turkey was a member of the CoE, and not a Christian nation, this idea was dropped. However, a pattern emerged where stars cropped up time and again. Another option was a single yellow star on blue. However, this was rejected for being similar to the Burnett flag of Texas, which was blue, with a white star. Finally, in 1955, a blue flag with a circle of 12 stars was adopted and unveiled. 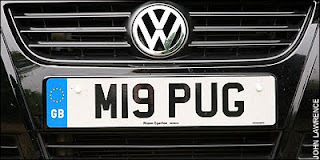 12 was a popular for the choice of stars as the number 12 crops up many times in various European cultures. 12 months in the calendar, 12 hours on the clock, 12 months in a year, 12 signs of the zodiac, and 12 days of Christmas. And many more. The Council of Europe then pushed for this flag to be used by other pan European organisations. The flag gained wide public acceptance after Expo 58, in Brussels, and the European Community began to push for an emblem to represent the organisation. It was voted upon, and following permission from the CoE, the 12 star flag was first flown outside the EC in 1986. 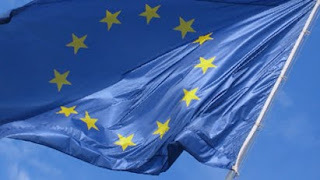 In 1992, the European Union replaced the EC, and took over use of the flag. The proposed European Constitution was to have introduced the flag and given it equal status with national flags, however, the constitution was rejected, and in the following Treaty of Lisbon which introduced many elements from the constitution dropped the idea of state-like symbols. However, it is common practise for the EU flag to be flown alongside national flags, and it takes dominance when EU heads of state meet. 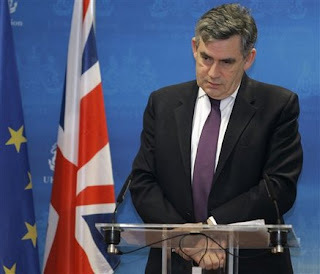 The EU itself as an organisation operates through a hybrid supra-national and inter-governmental system, relying on consensus in some areas between member states, or through its own parliament in others. The EU directly impacts the lives of its member state citizens. Operating in almost all areas of government. Especially in trade, and the law. However, it has a limited role in defence, and only a nascent role in foreign affairs. The EU was set up to guarantee the freedom of movement and trade around the bloc, allowing it citizens to move where they like, and be able to be treated just the same as the local population. The European flag is most commonly linked with the EU, however, it is also in use by pro-European groups around Europe, being flown in Georgia to highlight its aspiration to move closer to Europe, it was flown by pro-European parties in Serbia, and used as a pro-democracy banner by organisations in Belarus. It is also used to represent Europe in other fields, most famously being the flag used by the European team in golfs Ryder Cup. In 2002, the EU President Romano Prodi launched a competition to "rebrand" the EU to represent the culture and diversity of the many nations in the EU. Dutch architect Rem Koolhaas submitted a new design for the flag of the EU. His design was allowed to be altered should nations join, and leave. It took the colours of the flags of the EU nations and arranged them in vertical stripes, starting with Ireland and the UK against the hoist, and heading geographically to the fly, ending in Greece. It was, unfortunately, compared to a barcode, a TV test card, or deckchair fabric. And was never adopted. 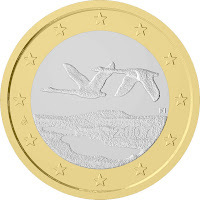 However, in 2006, an updated version was adopted by the Austrian presidency of the EU. The EU flag has served as inspiration for 2 newer European flags, with both Bosnia, and Kosovo adopting flags that are closely linked with the EU flag. And whether people like it, or not, the EU flag is here to stay.